Welcome to our 9th Sunday School lesson. I have teamed with my teaching partner, Naomi, to bring you the remaining Sunday School preschool lessons. We decided to teach the story of Noah over the course of three weeks. For the first week, we focused on Noah building building the great, big ark! To begin, we recapped what we have done previously explaining how Adam and Eve disobeyed God and how they had to leave the garden. After they had left the garden many people had been born and one of those people was named Noah. We read the story Noah’s Ark. After reading the story, we further explained some important information. 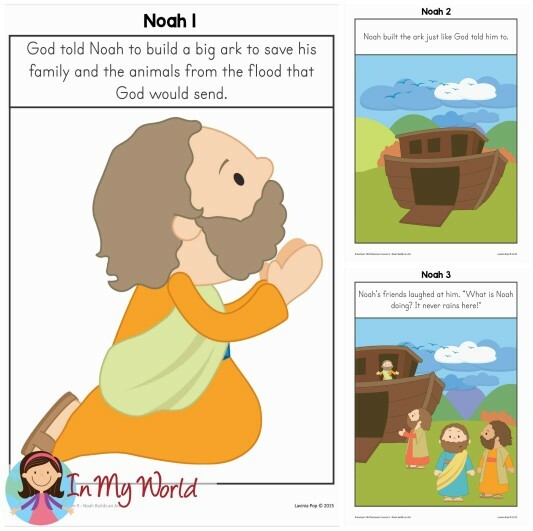 Many of the children were familiar with the story of Noah and this was a good way of adding to their knowledge and exploring what certain things meant. We spoke what it meant for Noah to be righteous. What kind of things did he do? He must have prayed because we know that is what good people who love God do. But more importantly, he loved God more than anything and tried to do what was right. It was for this reason that God wanted to save Noah and his family. We used the images below to retell the story and add extra information to what they children already knew. We also talked about the attitude that Noah’s friends had. They were not helpful at all and, instead, teased Noah and discouraged him from building the ark. However, Noah decided it was more important to listen to God than his friends. We paused here for a moment and talked about some real life situations where the people around us can discourage us from doing we know is right. 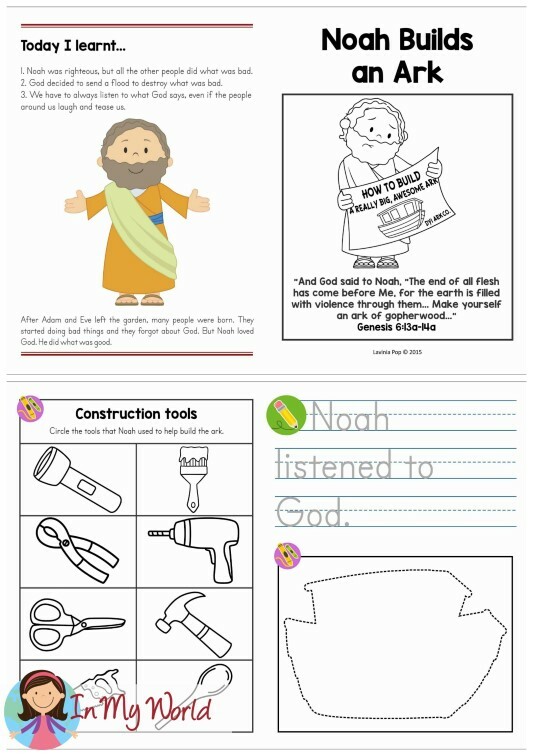 To make the lesson more engaging and interactive, we printed some pictures of the tools that Noah needed to build the ark. We gave each child their own set of tools and we pretended to help him build the ark. The children loved getting involved with the cutting of wood, hammering in pretend nails and then painting the ark with pitch (which is a very thick paint that stopped the water from entering into the ark). The craft for the lesson was an ark done from matchsticks to remember that God told Noah to build an ark to prepare him for the very big flood that will come over the world. Our take home booklet was all about building the ark. Please click here to download the book, story aids, tools, craft and take home book in English. Love your Sunday School lessons! Thanks! 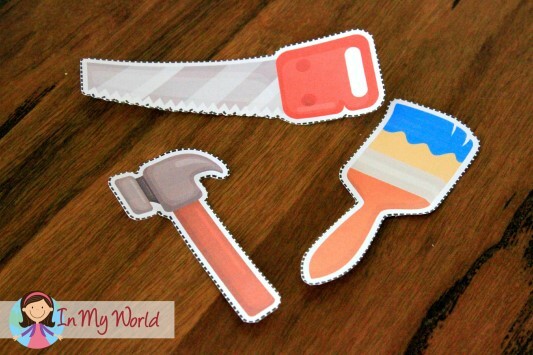 awesome printable – thank you so much! I just found your site and love all the Sunday School lessons! Thanks for making them available. Thanks so much for these lessons – great visuals & ideas. Really enjoy your lessons! Thank you so much for your sharing. I’m sure kids in Sunday School will love it.